Photo: Ady Kerry/Richard Lane Photography. .Aviva London Grand Prix, Crystal Palace. 25/07/2008. 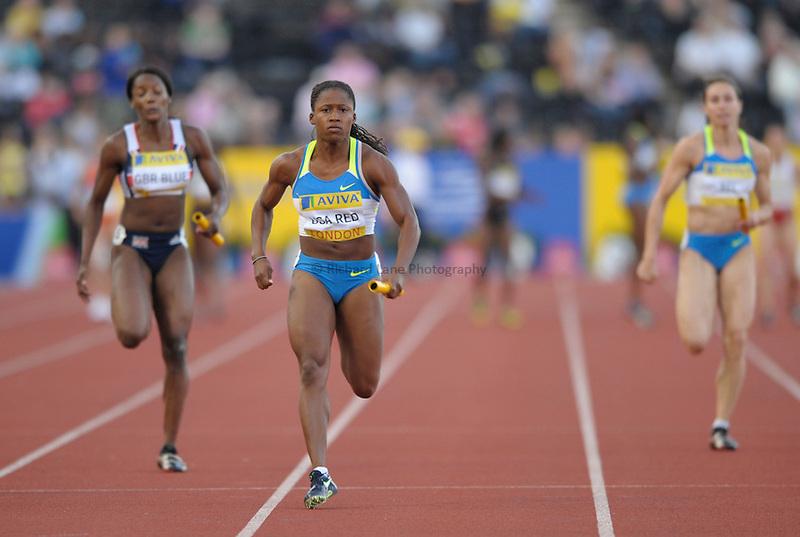 .USA Red's Lauryn Williams heads home to win the women's 4x100m relay.